Orders are processed within one day of submitting the order on the web. No products on the website are offered for sale or shipped where prohibited by state law. We ship via UPS in most all cases. Hazardous materials, aerosols and flammables cannot be shipped via air. Due to varying dates from suppliers, we are not always able to ship at once. We're available to assist you 8am to 5pm CST weekdays. 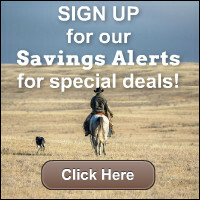 Just call our toll-free Customer Service line at 1-800-251-3474 to speak with an equine professional. Just call 1-800-251-3474. In the Continental US or Canada, 8am to 5pm CST weekdays for personal service - or any other time for electronic ordering. Please have your credit card (Discover, Visa, MasterCard or American Express) ready when calling. 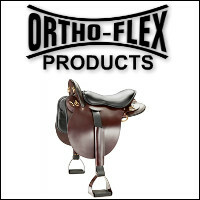 Send us your saddle prepaid, along with a note telling us the kind and type of saddle you would like. We will notify you of the allowance for your old saddle. 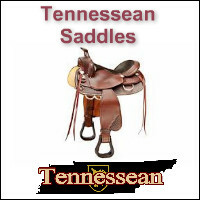 If we do not trade, your saddle will be returned prepaid. Suggested retail prices are based on manufacturers' and distributors' suggested prices, our research and opinion. We reserve the right to change prices. We are serious about your privacy. If you desire additional information about how we might use information you provide to us, please read our privacy statement. 2015 All rights reserved. No part of this work may be reproduced or transmitted in any form or by any means, electronic or mechanical, including photocopies, recording or by an information storage and retrieval system without permission in writing from National Bridle Shop. Prices are subject to change without notice. Not responsible for typographical errors. Due to limitations of this media, some colors pictured may vary.